Endurance 8 Oz. Stemless Martini Glass - One Glass by RSVP International at Foom App. MPN: 589762-MART-NS. Hurry! Limited time offer. Offer valid only while supplies last. RSVP strives to offer quality kitchen products and cooking tools at competitive prices. Our Endurance Stemless Martini Glass is a perfect example. View More In Martini Glasses - Page 2. RSVP strives to offer quality kitchen products and cooking tools at competitive prices. Our Endurance Stemless Martini Glass is a perfect example. There is nothing worse than a warm martini. Keep them icy cold so you can take your time sipping it! 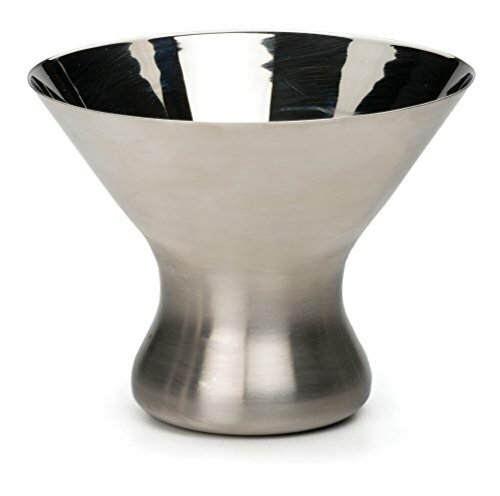 This stemless martini glass has a stable base and contemporary shape with brushed exterior and highly polished interior. Made from dishwasher safe 18/8 stainless steel with an 8 ounce capacity. Measures 4-3/8-inches by 4-3/8-inches by 3-3/8-inches. When all the right people, and ingredients, kitchen tools, and food come together, we call this The Art of Gathering.